Edgar Degas’ pictures and sculptures mostly date from the 19th century, and yet they remain to this day filled with a freshness of perspective and a striking modernity. Degas was associated with the Impressionist movement, especially in its early formative years in the 1870s when it took an increasingly prominent position on the avant garde stage in Paris, yet his own art was at odds with the plein-airisme favoured by so many of his contemporaries. Instead, Degas tended to focus on grace, movement and colour in his own idiosyncratic way. 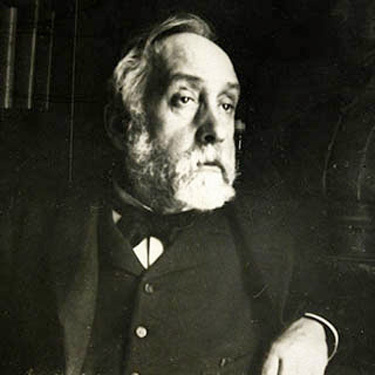 Degas was born into a wealthy family and drifted towards art in his early years. Many of his earlier works showed the influence of the Italian Old Masters, and indeed he created a number of historical paintings. Gradually, though, he drifted towards the depiction of races, of landscape, and of scenes of everyday life. These subjects became increasingly dominant from the end of the 1860s and through the 1870s, not least with his growing fascination with the stage, and in particular ballet dancers. This subject, for which he is now best known, made its first fleeting appearance in his works in the form of the feet and ankles visible in L’orchestre de l’Opéra of 1870, of which one version is in the Musée d’Orsay, Paris and a second in the collection of the Victoria and Albert Museum, London. In that work, the focus was on the orchestra itself, with the stage merely glimpsed in the background. The vivid modernity of his compositions, which appeared to owe something to the immediacy of snapshot photography, may have helped assure him a place among the ‘Artistes indépendants’ with whom he would exhibit a number of times, and who would soon be dubbed the Impressionists. The theme of ballet came increasingly to the fore in Degas’ works. Ballerinas, usually shown in informal moments of training or about to plunge on scene, featured in his paintings, his prints and even his sculptures, for instance the iconic Petite danseuse de quatorze ans, which so outraged the sensibilities of the day. This was a sculpture that was considered so realistic as to be almost anthropological, that featured a real tutu, real hair and a real bow. Its ambiguous nature was only heightened by the use of wax in the original example. While the original reception was so hostile that Degas refrained from showing his sculptures again publically, he has been vindicated by history: the Petite danseuse is now one of the most recognised sculptures in the world, with casts featuring in many of the most prominent museums, galleries and collections. Degas’ relationship with his sculptures is one that has long been examined. He appears to have used them as a form of sketch in some cases, allowing him to study particular poses from a number of angles. The same rigour is evident in his sketches. This reveals the extent to which research underpinned everything that Degas did. As he explained, ‘I assure you that no art was ever less spontaneous than mine. What I do is the result of reflection and study of the great masters; of inspiration, spontaneity, temperament – temperament is the word – I know nothing’ (Degas, quoted in R. Kendall (ed. ), Degas by himself: drawings, prints, paintings, writings, London, 1987, p. 311). This was the approach that he brought to subjects such as the races, Spanish dancers, landscape, bathers and scenes of bourgeois or everyday life alike. Degas’ pastels gave a heightened sense of spontaneity, yet were also the result of research, and also of strenuous posing sessions on the part of his models. Degas had begun life in relative luxury, yet a financial crisis had meant that he had been forced to turn to what was essentially almost a hobby in order to finance himself. Gradually, he achieved enough acclaim to give him a vibrant market for his works – vibrant enough that he could afford not to sell them all, a situation that has resulted in the complex and continuing process of establishing an accurate timeline.